You thought it was gone forever, but disco lives. The Southwest Michigan Symphony Orchestra (SMSO) presents a symphonic disco tribute show, Classical Night Fever, Saturday, August 11, 2018, 7:30pm at Shadowland Pavilion, Silver Beach County Park, 101 Broad Street,St. Joseph, MI 49085. 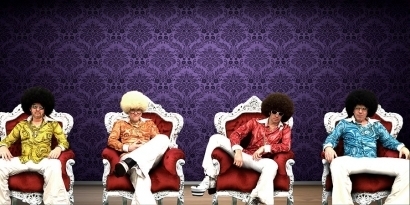 Partnering with the SMSO is Motor Booty Affair, a popular 70’s disco/funk tribute band who recently introduced this pops show highlighting 70s disco favorites. The band and orchestra will perform in costume to reflect when bell-bottoms, polyester outfits and platform shoes were all the rage. Prior to the 7:30pm Classical Night Fever concert will be Silent Disco at 5:00pm. Silent Disco has a person slide on a set of wireless headphones, tune to the music and dance. No sounds are heard by the crowd, hence the term “silent disco,” but dancers hear disco in stereo, for a fun and unique way of experiencing the music. The Symphony is only able to perform these concerts with support from our community. While that support takes many forms, we are particularly grateful to our sponsors for this concert: The Tiscornia Foundation, Candlewood Suites, 103.7 COSY-FM and Bud Distributing. Additionally, this activity is underwritten by The Schalon Foundation.